Six generations of Louws have practiced their art with skill and passion at Diemersdal since the Estate passed into their hands in 1885. More than 12 decades later, Diemersdal is a well-known landmark in the lush Durbanville Valley, one of the Cape’s oldest wine regions. The Wine Village is a business built on celebrations. Every single bottle in stock celebrates a specific harvest, winemaker, team of vineyard workers or a special moment. 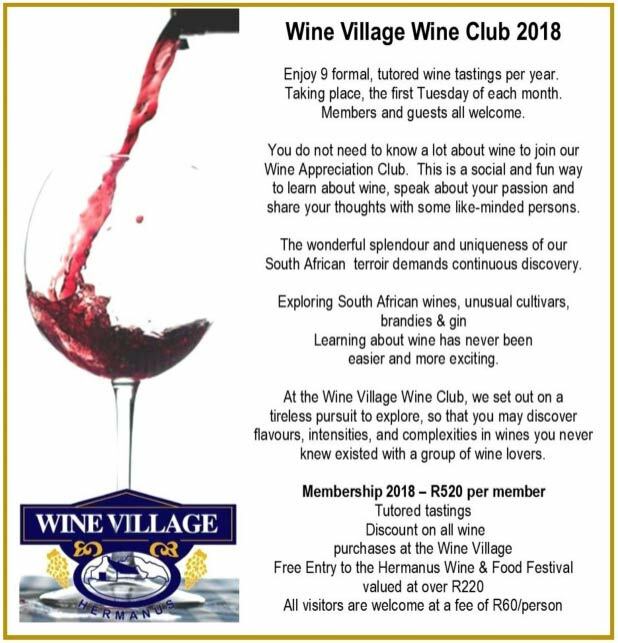 With an extensive collection of South Africa’s finest wines, a team of wine experts and many years of wine business to boost the Wine Village share their experience in the celebration of special moments. The man behind the business is no stranger to the local community. Paul du Toit was born in Zimbabwe but moved to KwaZulu-Natal at an early age due to his father’s work on a large pineapple farm. Visiting the pineapple canning factory as a youngster Paul was in awe of the process and the aromas of canned pineapple. This was the start of a sensory journey that would later shape his life. Today Paul, together with his wife and business partner Cathy, look back with fond memories to the time when they opened the Wine Village nineteen years ago in 1998. This was only one year after their arrival in Hermanus and following a first attempt at doing business locally through their garden services business. Back in 1998 there were only six wine farms in the Walker Bay wine ward. Today there are twenty eight producers in close proximity and the nearby Hermanus, Bot River, Elgin and Stanford Wine Routes have been pinned to the South African Wine Route map. 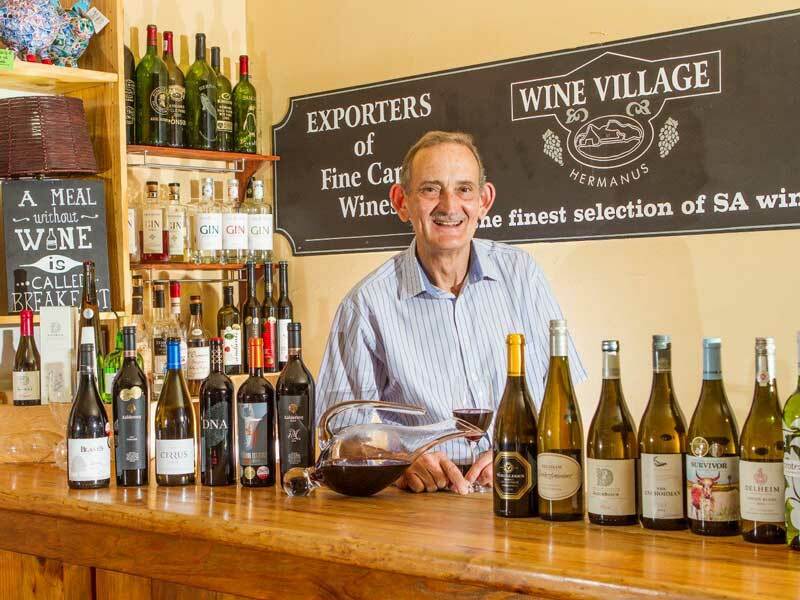 The first producers to supply the Wine Village will always be remembered fondly as these businesses have grown with every bottle added to the shelves of the Wine Village. Paul Cluver, Newton Johnson Family Wines, Hamilton Russell Vineyards and Bouchard Finalyson have been a part of the wine displays for the past nineteen years. These displays and the wine shop have supported the local trade, producers and tourism sector since the very first day of trade. Understanding what it means to start a business makes this team sympathetic to the growing pains of small businesses and there’s always time to listen to suppliers, customers and the community. The family and their business are eager to get involved in new initiatives and are familiar faces at sporting events organised in the region. There have been many changes over the years. Wine labels have changed, winemakers have come and gone and new blends have been added. 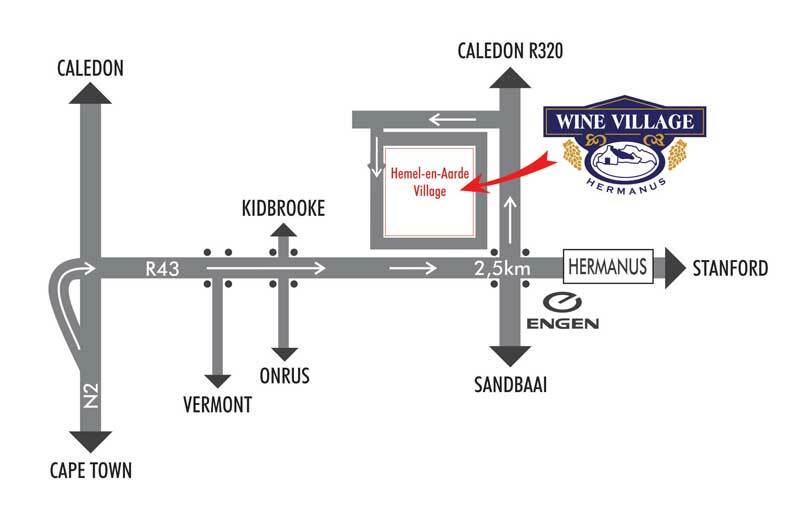 The one constant has been the Du Toit family selling wine and sharing wine stories at Wine Village at the start of the Hemel-en-Aarde Road. With cheer and best wishes – the team at the Wine Village. 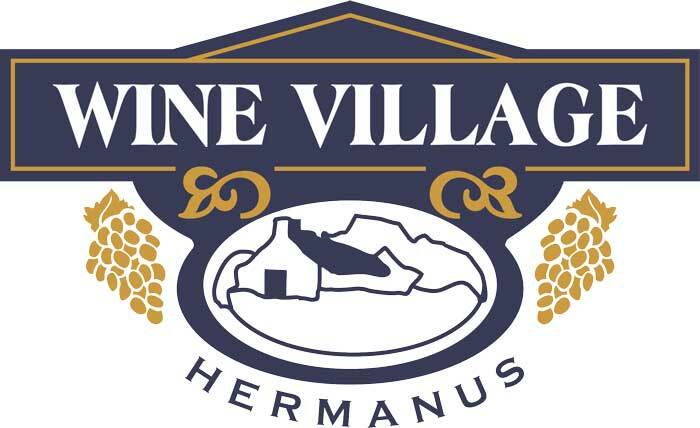 South Africa’s premium specialist wine shop, Wine Village – Hermanus, is based at the foot of the picturesque Hemel en Aarde Valley. 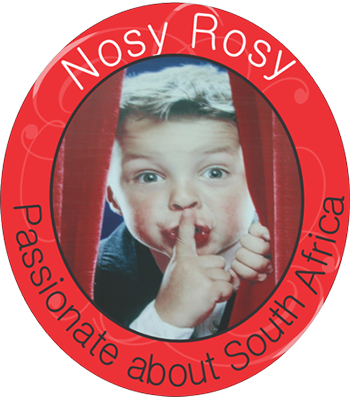 Representing more than 700 South African wine producers all wine lovers are spoiled for choice. 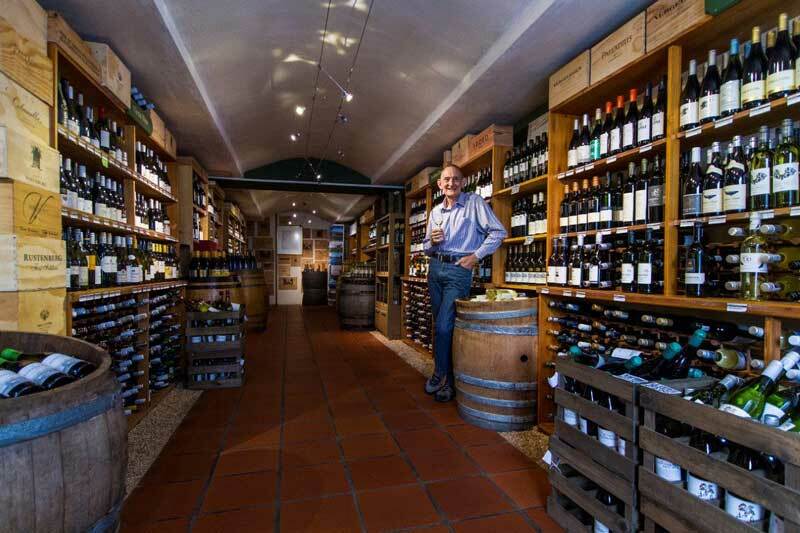 The owners, Paul and Cathy du Toit, are committed to excellent service, quality products and they have more than 15 years’ experience in shipping wine world wide.